Pat, Jack, and Corey spent the last week of February in lovely Norfolk, VA attending the 2018 AIHP Knowledge Sharing Summit and Marketplace. The conference was a great success, with more than 500 attendees on hand. As always, it was great to reconnect with friends while also making so many new ones! 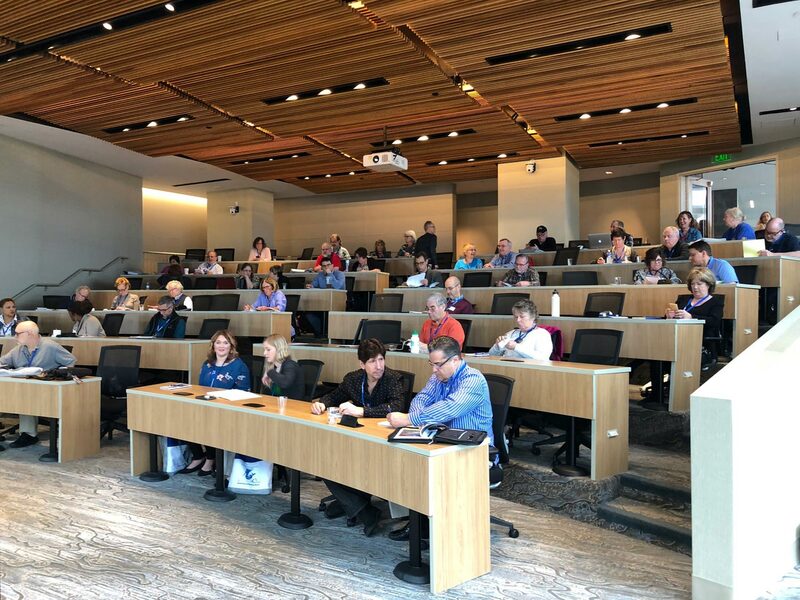 The 2018 AIHP Knowledge Sharing Summit was certainly that, with more than 65 panels and presentations throughout the week. In fact, there were so many it was hard to choose from among them. There were sessions on food photography, increasing your conversion rate, making excellent coffee, and keeping Google happy, to mention just a few. The general consensus was: if there isn’t a session on it, it probably isn’t a real topic. InsideOut Solutions took part, with Corey presenting a Spotlight Session on Common Sense Blogging Strategy. Pat presented What’s Next for Marketing? and also served on two panels: A Beginners Guide to the New Inn Owners Online Presence and the Expert Panel Live Marketing Review of Three Websites. The 2018 AIHP Marketplace was also a bustling hive of activity. We enjoyed browsing the offerings when we could get away. 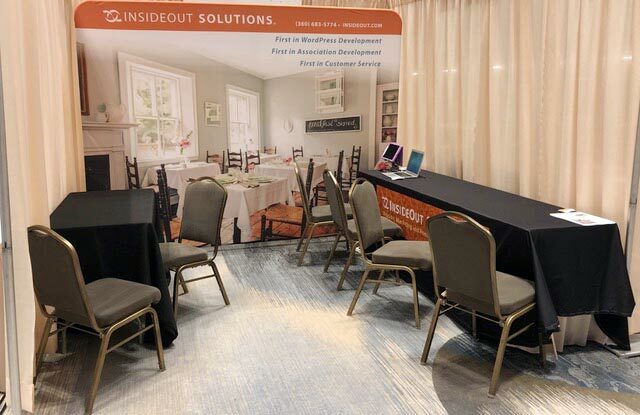 Mostly, we were kept busy meeting both new friends and old as they stopped by the InsideOut Solutions booth. 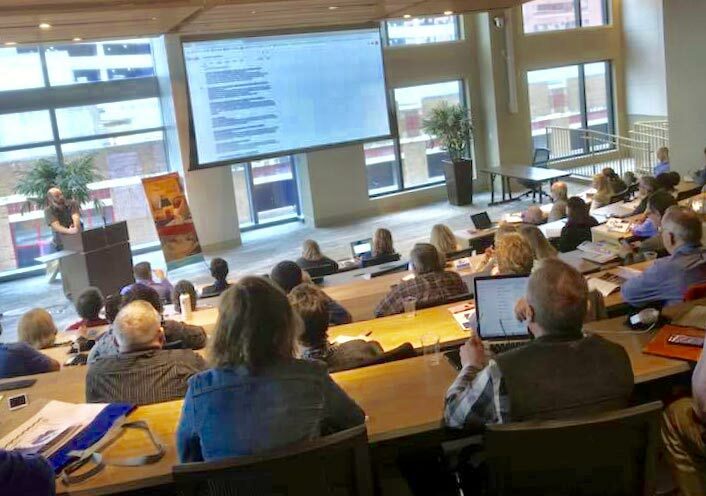 National conferences like the 2018 AIHP Summit offer a truly priceless opportunity for innkeepers and allied partners alike. Those who attend are better informed about current trends and strategies at play in today’s hospitality industry. Further, the friendly networking that occurs provides a solid base of knowledgeable friends and experts you can turn to for help and advice. Overall, the feeling of the 2018 AIHP Summit was one of happy and cooperative camaraderie. A chance to rub elbows with innkeepers, aspiring innkeepers, and our allied partners is always refreshing and inspiring. Pat, Jack, Corey, and everyone they talked to, said they felt that the 2018 AIHP Summit was one of the best conferences they’d experienced in years. We’re looking forward to the 2019 AIHP Summit in Cincinnati and hope to see you there!